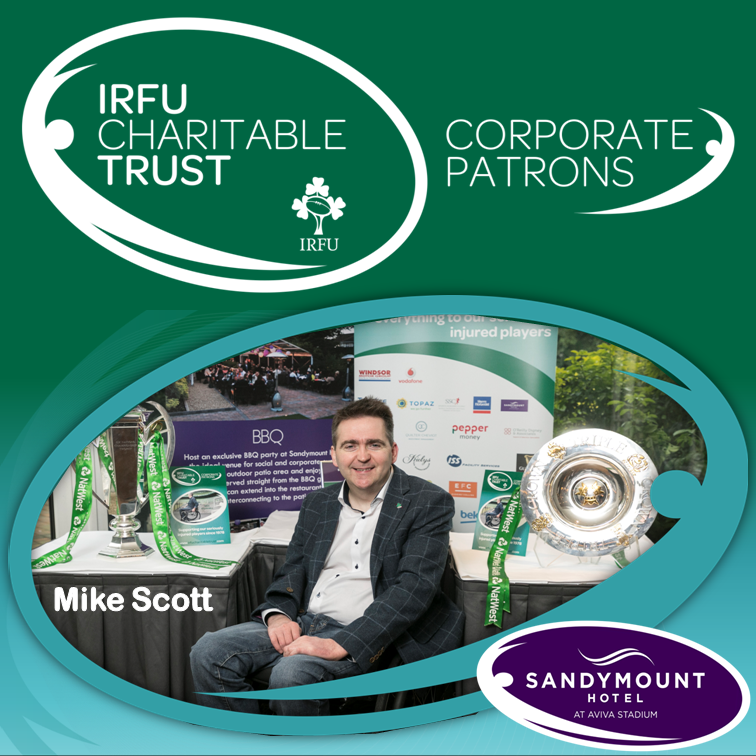 The IRFU Charitable Trust, Corporate Patrons, hosted their 3rd Annual Business Breakfast, proudly supported by the Sandymount Hotel, Ballsbridge. With the room packed, and all the patrons enjoying a sumptuous breakfast, the guests were treated to some insightful stories of the Irish camp during this fantastic Grand Slam year by Andy Farrell and were given a player’s perspective from Johne Murphy who regaled the attendees with stories of his playing days with Leicester and Munster Rugby. Both speakers spoke of the challenges of the transition from player to coach and how their own perspectives had changed in line with their new responsibilities. David Keane, Participation Rugby Operations Manager at IRFU, conducted the Q&A and drew some humourous anecdotes from both guests as well as providing a peak behind the scenes into how our rugby teams have developed their own strategies in this fast moving sport. Many of the guests took the opportunity to be pictured with the 6 Nations Trophy and The Triple Crown. The Trust was delighted to welcome Mike Scott, one of the seriously injured players supported by the Trust, to the event. 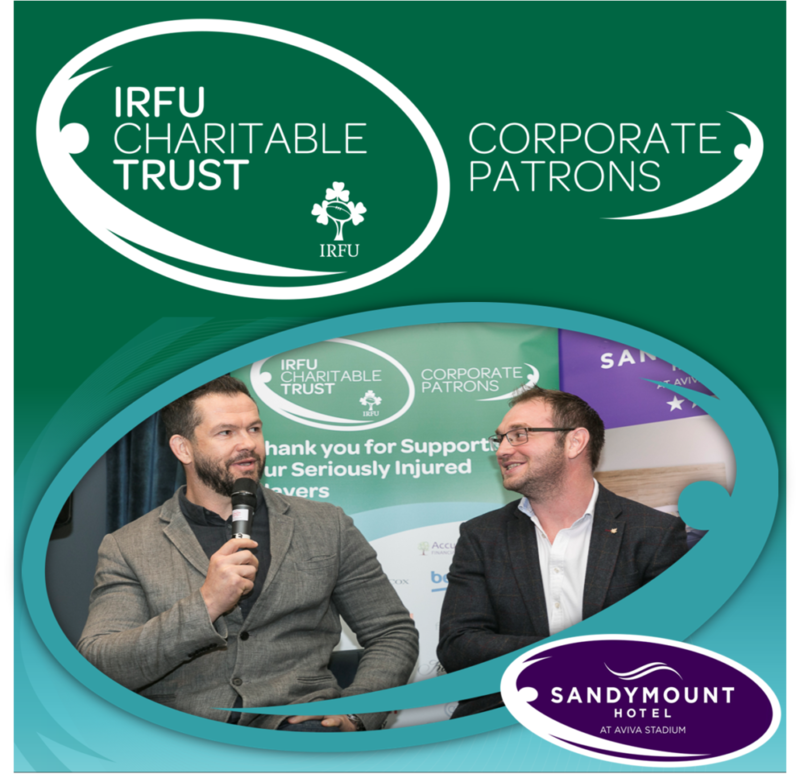 John Loughran spoke passionately ,as always, about the developments in the Sandymount Hotel as it goes from strength to strength and David O’Reilly asked that businesses really consider supporting the ongoing advancements of the Trust through the Corporate Patrons branch and join the business network. The morning was thoroughly enjoyed by all attending and plans are already in place for next years 4th Annual Business Breakfast when we hope to have many more members of the Corporate Patrons and provincial representation throughout the Island. To view the photographs from the event – please click here. Visit the Sandymount Hotel website to read more about the event by clicking here.